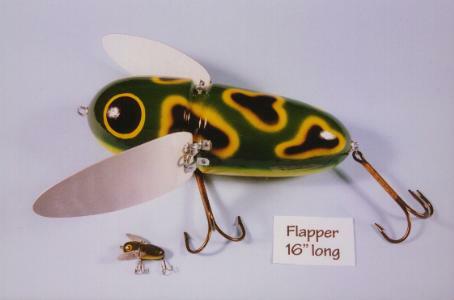 A wild and crazy bass lure from the '30's. An incredibly splashy surface bait that wagged from side to side when retreived. The Flapper features movable aluminum wings . Finish: Green body with yellow and black spots and eyes and a yellow belly.